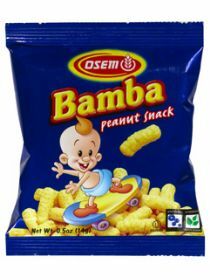 Background: Bamba is the best-selling snack and the strongest children’s brand name in Israel. It’s secret lies in the combination of good nutrition and the unique flavor that Israelis love so much. Bamba was first produced with a cheesy flavor in 1963, but in 1964 it was changed to the familiar peanut flavor we know so well today. The change was made after the Osem marketing team set up a focus group of children from Holon, where the production plant is located. As far as we know, this is the first time that a consumer group in Israel has “dictated” manufacturing-related aspects of a product. The Bamba Baby was first presented to the public in 1992, and since then has appeared in more than 10 media advertisments, and in 1993, starred on the newly launched giant Bamba Birthday Pak. The Bamba Baby is the outcome of a cooperative effort by Osem and Arieli Advertising. Target Audience: Children aged 6–12, teenagers aged 13–18, Mothers of children aged 1–11.